The first study of a woman who wants to be a poet is to know herself entirely; she searches her soul, inspects it, tests it, learns it. Once she knows her soul, she must cultivate it. This seems simple—a natural evolution which comes to pass in every mind, in every body—there are many who would declare themselves writers, who would boast of their intellectual growth. But the soul must be made monstrous, must be birthed into another form. Imagine a child pruned in the womb as you would a bonsai, snipped and stitched and stunted even before it’s born. Imagine the bones malformed and dislocated, relocated, orifices slit and cartilage burned. Can you see these comprachico children emerge from you? I say that you must have vision, become a visionary. You must become a visionary through an extended, immense, and deliberate derangement of all the senses, through carefully executed mutilations of the mind. Find love, find pain, find madness—drain their poisons into your body and distill them, preserve their essence. In this inexpressible torment, find faith, find superhuman strength, and birth it too: your soul the madman, the criminal, the damned—and the savant, for she approaches the unknown. You have cultivated this soul past all knowing—stare it down, your comprachico child who no longer has a face. See with the sharpness of his scarred-shut eyes, and even as your vision fails, remember: you have seen. And if—as you leap into such unnamable, innumerable things—if you lose yourself, no matter. There are others who will follow, who will begin at the horizons where you failed. And so the poet is truly the thief of fire—she, Promethea who sculpted man from clay. The poet bound to a boulder and made to wait while an eagle pecks at her liver every day. She is given this task by man, by beast even—she must make her creations known, felt, heard. If what she brings back from beyond has form, she gave it form; if it is formless, that too she gave. To derive a language—after all, every word being a thought, the time of a universal language will come. You must be an academic, deader than a fossil, to complete a dictionary of any language at all. The weak may begin by thinking about the first letter of the alphabet, and quickly stumble into insanity. This language would be of the soul, for the soul, encompassing all—scents, sounds, colors—a thought caught in the weave of another thought and pulled. A pattern of stitches looped or knit or crocheted, this language is women’s work. In time, the poet will discover her universal soul, define the quantity of the unknown—she will give more (than the formula of her thoughts, than the notations of her steps towards progress). Enormity becomes norm, absorbed by all, she will truly be a multiplier of growth. This future will be materialistic, you will see—always filled with Number and Harmony, her poems will be made to endure. At their core, they might be like Greek poetry once more. Eternal art will have its duties, just as poets are citizens too. Poetry will no longer give rhythm to action—it will forge ahead. These poets will come to be! 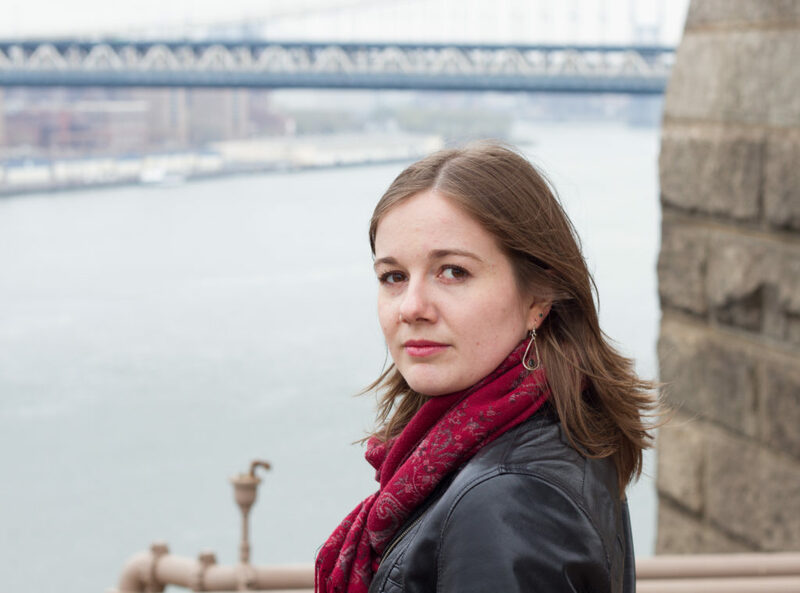 When the infinite servitude of woman is broken, when she lives for herself and by herself—man, an abomination until now, him being expelled—she will be a poet, she too! Women will find their piece of the unknown! And will our worlds of ideas differ? We will find strange things—unfathomable, repulsive, delectable—thieves of fire that we are, we will seize them, we will understand. Until then, ask of the poets something new—ideas and forms. The clever ones may soon believe they’ve satisfied this demand. It is not true! Rimbaud’s May 15 letter to Paul Demeny is one of a series of letters often referred to as the “lettres du voyant” (letters of the seer/visionary), where he espoused his ideas on poetry and the figure of the poet. This particular letter is perhaps the most recognized, for it contains his famous line advocating for a “dérèglement de tous les sens”—most commonly translated as a “derangement of all the senses.” In my translation, I worked to remain faithful to my understanding of this derangement of sense, and in that spirit, to reveal the strangeness that lurks beneath his epistolary prose. In places, I expand and “derange” Rimbaud’s metaphors and references to expose his most troubling or intriguing suggestions. I have made one more important change—an act of resistance against Rimbaud’s vision. The poet that Rimbaud saw, the poetry that he wrote about, was definitively male. In this translation, the poet, like me, is a woman. Arthur Rimbaud was a French writer known for his influence on the surrealist movement. Born in 1854 in a small town in northern France, his best known works include Illuminations and A Season in Hell. Rimbaud wrote most of his celebrated poetic oeuvre in a span of five years. During that time, Rimbaud also had an affair with Paul Verlaine, which ended dramatically in 1873, when a drunken Verlaine shot Rimbaud in the hand. 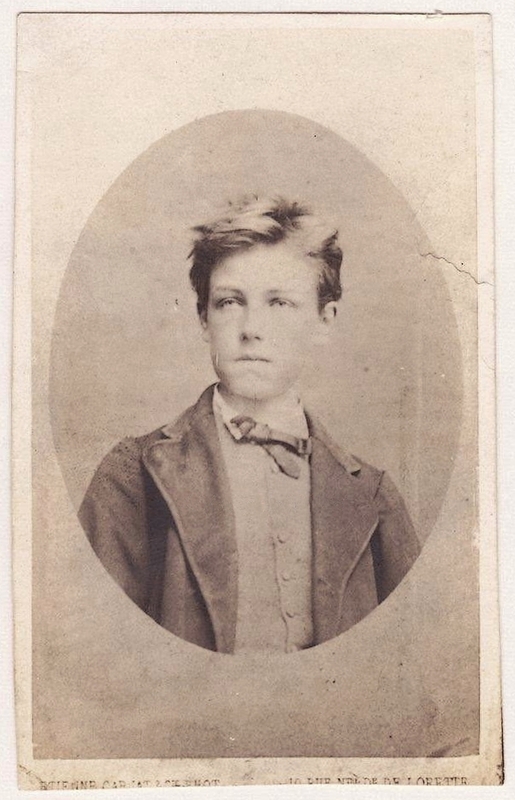 Rimbaud died in 1881 at the age of 37; Verlaine published his complete works four years later.